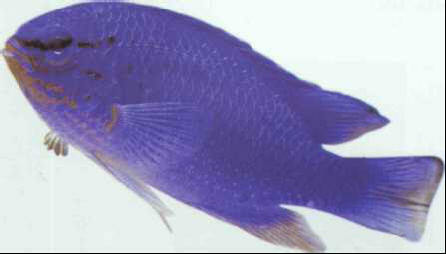 Like the other species known as damsels, this is one of the least expensive of aquarium marine fishes. The blue damsel (syn. Chrysiptera cyanea) is territorial and can sometimes be aggressive. It accepts commercial foods. Size: 8 cm.